We would like to hear about your experience at Red River! The parts counter guy spent a lot of time helping research to find the part to fix my 07 Commander. Went above and beyond. Thank you Jason Hammonds for doing more than expected and for going beyond to help make a deal and getting us into the 2017 Jeep Renegade. Had a service department visit today on my 2500 ram for the drag link recall. The service specialist I dealt with was very professional and got my truck in immediately. The recall described what would be done to resolve the issue and indicated it would take 2 hours. My truck was back to me in 40 minutes and the repair was exactly as described it would be. Very professional organization. We just purchased a new ram 2500 !!!! Could not be happier with the service we have had so far. Special thanks to everyone who has help us so far. Look forward to doing business in the future. They got me in a car in no time! Love everyone there! Very friendly and helpful. My parents even bought a car from them as well and had it delivered to them! Love the fact they deliver to people! I would recommend this Dealership to anyone looking for a great deal! They work with you and do everything they can to get you into what you want! 3rd vehicle I've bought there. Won't go anywhere else. Amanda is the girl to see!! Let me start by saying that when I hear a dealer say that they do business differently than other dealers, I take it with a grain of salt. Red River Dodge is an exception to this. I was sceptical at first, but after talking with no less than 8 dealerships, Red River was the only one who took time and offered multiple choices in the price range we requested. This was all without us having to visit the dealer. Found a car at their other location. They told us the price and offered to go get the vehicle for us to see. The driver brought the vehicle to us, to save us a trip to the dealer if we didn't like it. They took time to discuss extended warranty and financing options over the phone. They had the car detailed in preparation for us to go over it again before we made our final decision. We agreed on the terms and did all the paperwork. In total, we were on site less than 2 hours. I can not express how much I appreciate the fact that customer service is still a priority at this dealer. 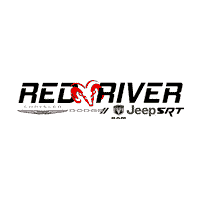 I highly recommend Red River Dodge to anyone. Thank you for the best buying experience, period. Here at Red River Dodge of Heber Springs, we strive each and every day to be the best that we can possibly be. In pursuit of this goal, we offer the Largest Selection of 1/2 ton to 1-ton trucks in North Central Arkansas.